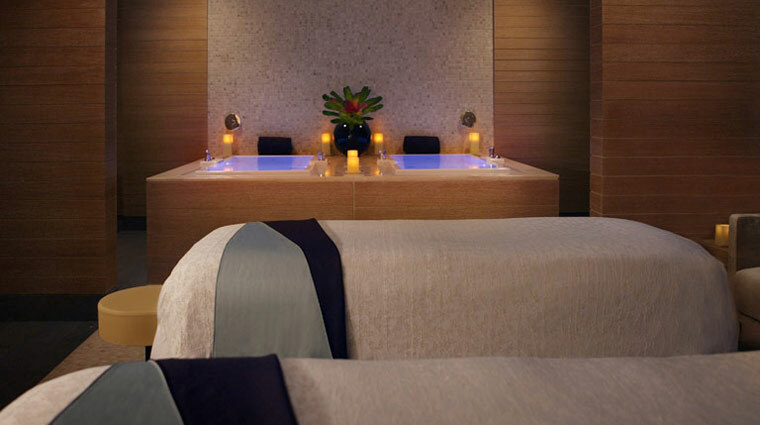 Whether you're looking to calm, balance, purify, heal or revitalize, you'll find what you need at The Spa at Trump Chicago, a 23,000-square-foot den of relaxation located on the 14th floor of Trump International Hotel & Tower. Smooth blond wood, dim lighting and simple orchids create a comfortable, and surprisingly intimate atmosphere despite the spa's expansive size. It is probably no surprise that the amenities here are top-of-the-line, and you'll want to schedule the better part of a day to spend ample time taking advantage of the luxurious surroundings such as the choice of relaxations rooms, an indoor pool and specialty showers. 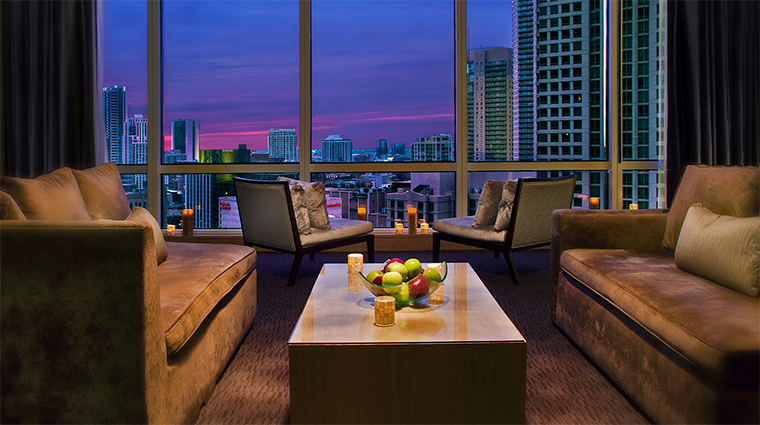 The 12 extra-spacious treatment rooms and enormous health club boast some of the most striking views in all of Chicago. From its high-up perch, the spa sits high above the bustling city and blocks out all the noise while letting in the majestic vistas. Once you check in, head straight for the locker room to experience the customizable deluge shower with its nine deluxe showerheads, mood-enhancing and chromotherapy modalities, and adjustable water flow and pressure. One of the best couples rooms we've seen is at Trump Chicago — its has side-by-side infinity soaking tubs flanked by a dramatic mosaic-tiled wall and and heated, side-by-side massage tables. The signature product line at the luxury spa is Natura Bissé, an exclusive Barcelona-based skincare line known for its powerful, natural ingredients. Healthy spa cuisine can be ordered ordered pre- or post-treatment and eaten at one of two tables next to the indoor 75-foot pool and lounge area. 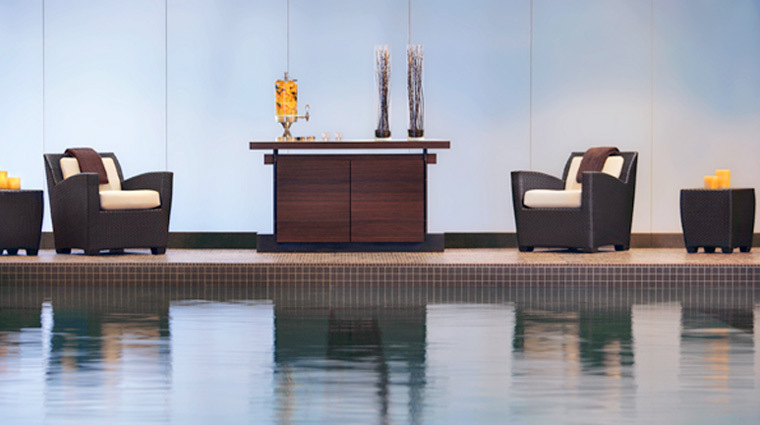 Floor-to-ceiling windows are found throughout the spa in the treatment rooms, fitness area and the pool so guests can catch sweeping views of iconic city sites like Michigan Avenue and the Chicago River. Fifty-three rooms located on two floors of the hotel are designated Spa Guest Rooms. Each is connected to the spa and has thoughtful amenities like heated eye and neck pillows. Refreshments like water, fruits and nuts are on offer throughout the hotel, including the reception desk (you'll be offered some fruit-infused water when you check in), to the locker rooms and to the relaxation lounge. 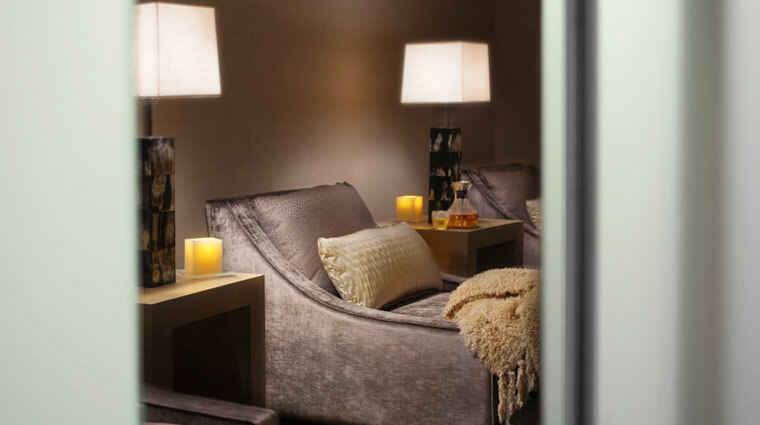 Aside from the large relaxation lounge adjacent to the treatment rooms, there are private gender-specific relaxation areas with more intimate settings (ideal for a group of girlfriends). 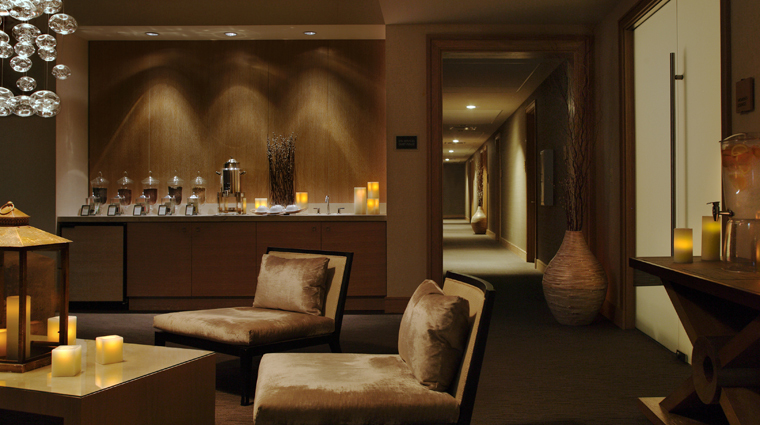 Spa at Trump Chicago has a very wide array of treatments, from gemstone therapies and facials to specialty massages and salon services. 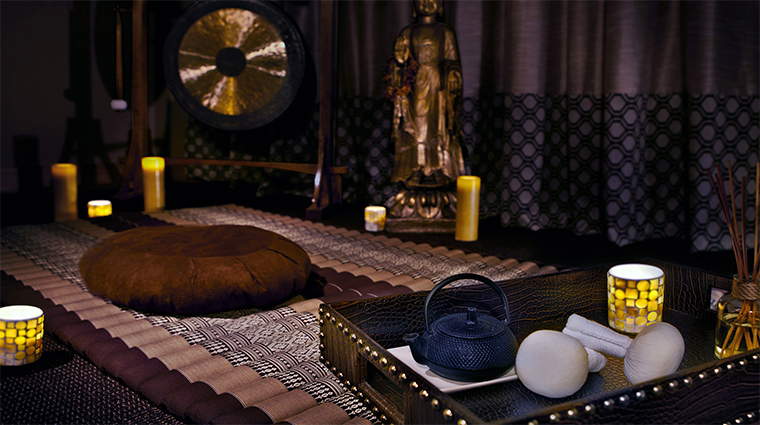 In general, the spa's goal is to meet five criteria during a treatment: to calm, balance, purify, revitalize and heal. Natura Bissé treatments are skincare-focused and there are several from which to choose. Each has a purpose, from calming and revitalizing to purifying and balancing. The spa offers a few treatments that are exclusive to Chicago, intended to meet the needs of those who live in the city or are visiting it. The Chicago Diamond Experience Facial aims to revitalize, the Ultimate Urban Neck and Shoulder Massage uses techniques to heal and relieve stress. Locker rooms are often an after-thought, but not here. They are quite spacious and equipped with a sauna, eucalyptus steam showers, a deluge shower, private lockers and slew of bath products from which to choose. A large fitness center is filled with various weights and cardio equipment, but the real reason you'll love working out here is the incredible view through a wall of floor-to-ceiling windows. There are also two studio rooms that hold classes (Pilates, yoga, spinning) throughout the day. The heated, 75-foot pool is a true urban oasis and is a swimmer's dream. After a dip, feel free to lounge on the pooside furniture and relax with a refreshment or two.